David, why did you use the OIA to try and get information on people that had made legitimate requests of the government? Well that really is a limp response, and it really just highlights up David’s strange actions. David is saying that the reason he ran an Official Information Act request to find out who had been making Official Information Act requests on the three strikes bill is to find people who had been lying? What lie? Well, we can only speculate on his actions and motivations and raise a few questions. Mostly because it is rather amusing to do so, and it points out attitudinal problems on the subject of free speech by the government that he supports. The Official Information Act is there to shed light on government actions. So was David looking for the lying within the government? As we pointed out in “3 strikes law could increase murders Nats’ secret official advice” there appears to have been some considerable shifty work going on inside of government. While they have been telling us that three strikes will reduce serious offending, the Government has been warned by its own officials that its three strikes policy may lead to people being murdered. Its reaction was not to drop the policy but to muzzle the officials and try to keep this secret from New Zealand. The revelation that three strikes may increase the homicide rate was contained in the last paper Simon Power received as minister responsible for the policy before it was handed over to Judith Collins. There is ample scope inside that sequence of events for some lying to have happened. Especially since the government has been assuring us that the 3 strikes bill would be effective and will somehow magically drop violent crime. However it appears that at least some of the advice to them was that it may increase some types of violent crime. Moreover, David didn’t ask for the information that I and various journo’s had requested on the advice given to the government about the effect of the three strikes bill. Instead, he asked about individuals who had been asking about that advice. Perhaps he is suggesting that individual members of the government are at war with each other to the extent that they are making OIA’s against each other? It is possible bearing in mind some of the obvious divisions in this government over the 3 strikes and other issues. But it is unlikely bearing in mind David’s own affiliations. David runs a polling company, Curia, that seems to get the majority of its work from the National party and other associated right-wing organizations. He must be highly trusted by that party to handle their very politically sensitive and frequent polling. He is also strongly associated with the National party in his blog acting as a defacto spinster for their lines. It seems unlikely that he’d want to expose the divisions in the caucus. So it is most likely that David was looking for individuals outside of government who had used the Official Information Act procedures to examine and criticize the current government on the 3 strikes bill. Now this is quite curious because in 2007, David was the spokesperson for the “Free Speech Coalition” campaigning against the Electoral Finance Bill. This was a bill and subsequently an act which he claimed would stifle free speech against the government. David now apparently thinks it is ok to attempt to expose individuals using the OIA. Why? Because they may write material criticizing the government. In other words, they are exercising free speech, and exercising it to criticize the government – the very thing that he was defending in 2007. The only apparent difference between Davids 2007 attitudes and now, is that his party is in government. Of course, this government seems to also think that what employees legally do in their spare time is also their business. For instance the new proposed codes of conduct for the public service appear to be draconian attacks on the current ability of public servants to have beliefs or even associations outside of their work. Our political interests and activities (and possibly even the political interests of a close family member) have the potential to conflict with our obligations as State servants. The effective management of such conflicts must balance the role of the organisation we work for and its relationship to the Government, the importance of encouraging a strong democracy, and our personal rights as New Zealanders. Wow. So you can get a mark against your name if your partner or your siblings or parents are involved in (the wrong kind of) politics. This appears to be the same type of attitude that David, a person closely associated with the government putting this forward, is taking to people writing critical articles about ‘his’ government. I really think that David needs to turn the light on himself, and consider on how how far he has drifted from the free speech principles that he espoused so strongly only a few years ago. There is a word for that type of self-serving about-face. It is hypocritical. The “Free Speech Coalition” were most notable for a number of billboards comparing various politicians with dictators. Perhaps David needs his own one. So Farrar accuses those who seek to expose the truth, as liars. Desparate stuff. Well done. Do you support being able to criticize your government without having the governments minions attempting to remove your privacy so they can intimidate you? Like Paula Bennett appears to have done with several people criticizing her policies about education for people on the DPB? Take the personal view. Say in view of your recent critical commentary about the ECan legislation? You are right but you go against part of manwomankind’s nature unfortunately. The situation is near unchangeable. But it must still be resisted like all other of man’s ills otherwise such cancerous and corrosive features dominate. This government’s nature includes this feature quite heavily imo. Having been through the Muldoonist era and other such unsavory episodes I take both peoples privacy and their ability to contribute both anonymously and pseudonymously pretty damn seriously. There has only been one case that I’m aware of where that trust has been partially breached on this site by people with access to the back end. That was with respect to someone using the same IP as Matthew Hooten. I squashed that, chastised the offender, and changed the privacy elements of the policy to make it clear what that data could and could not be used for. To the best of my considerable ability, I attempt to protect you and anyone else who wishes anonymity on this site. You have the choice about how much information you choose to release. One of the reasons that the main server that runs this site is off-shore is simply to protect the data that could be used to identify individuals and allow them to be intimidated. There are various other security measures as well. There are limits to what we can achieve. But anonymity is protected to the best of our abilities. It is required to allow people to have free speech and free debate. One only has to look at the backfiles that have been released by the SIS from during Muldoons oversight when he was ‘outing’ people left right and centre for his political advantage to realize how important this is over time. David is aware of this, I can remember his views from the 90’s, and even those he holds in InternetNZ. However he seems to have let something over-ride that common sense when it comes to this site. I thought I might bring your attention this MSM investigation on SUNDAY tonight. At 7.30 tonight TV One investigates legislation which will dramatically increase the state’s authority to peep into your private lives. Just who is reading your emails, listening to your phone conversations and where does it stop? Should we be afraid? One legal heavyweight says it’s “creepy” and warns it is open to abuse. I’ll watch it. The traffic monitoring at the ISP’s worries me quite a bit. I’ve started to encrypt network traffic in all new apps for this reason. Farrar is a true mercenary, who would sell his mother for money and his love of National. No credibility, no pride, Chubby is a vile individual. I don’t think that he is mercenary. To be that you’d expect that his history would show quite distinct shifts in who he is affiliated with as he changes ’employers’. I’ve been sparring with him off and on since the early 90’s and throughout that time he has always clearly been associated with the Nats, even when he has been critical of them for one reason or another. In much the same way that I have consistently been affiliated with Labour. However what, to me, is puzzling is that he has generally been pretty consistent in his personal attitudes expressed in public over that period about various issues – at least until now. One of those has been the right of people to freely express opposition to the government. That is why I find what appears to be his current obsession about invading the privacy of my authors. This is the 3rd or 4th post recently that I’ve been forced to write on the subject, which seems somewhat excessive. Usually people get the hint a lot sooner after I blast them for interfering in the people I’ve taken obligations to. I kind of have to wonder what pressures could cause that change in attitude. Farrar is taking this whole vampire craze far too seriously. So it’s just like Brash, Joyce and the Hollow men then, ‘cept he doesn’t have anything apart from a) his suspicions and b) his wounded pride that he doesn’t actually know anything, so he’s fishing around like an amateur plumber and being busted doing so in the msm? I don’t remember him using the sunlight rule with regard to Worth, and why he isn’t an MP anymore. Soooo, I don’t think this counts as a reasonable explanation of his behaviour, so I’m still, provisionally of course, and with his reputation as a nice guy notwithstanding, running with ‘fuckwit’. Off post but what did happen to the Ombudsman’s report on Paula Bennett. is she still hiding it? I had the impression that it was due for release soon. Maybe the complainant has been bought off? It is astounding it has taken so long. I thought a half hour reading the Privacy Act, a couple of please explain letters and a clear finding of breach could have been made. How exactly is what he has done ‘anti democratic’? Was there a vote which concluded he shouldnt do this? He was engaging in the actions of an authoritarian, dictatorial type government, namely, finding out who was requesting and releasing the information the government wanted kept secret. See my comment 2.1 above. One of the critical features distinguishing a real working democracy from a sham (say for instance the ‘democratically’ elected houses of representatives in the USSR and Italy in the 1930’s) is that the latter tolerates dissent in the form of free speech, the former doesn’t. A frequent way for sham ‘democratic’ states to stifle dissent is to have minions or beneficeries of the state, or people coerced by the states institutions to denounce other people investigating the regime or exercising free speech. This allows the regime to keep its hands ‘clean’, and allows for a considerable repression without having to have death squads or rolling in the army. You can see this type of denunciation repression happening in Fiji right now, in some of the strangest sham trials that I have seen in my lifetime. 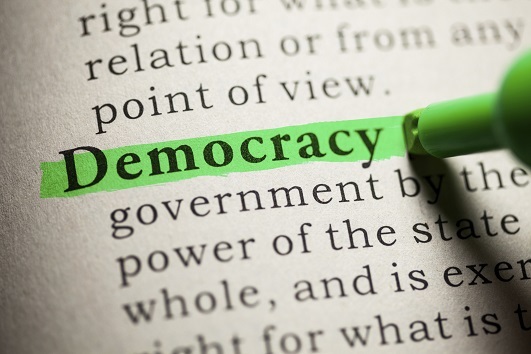 If you don’t understand how a democracy operates, and what is required for it to keep working, then perhaps you should start to read some history or some political theory. Wow. Clearly someone doesn’t realise that transparency, dissent, and privacy are key democratic concepts. Farrar also acts as a front man for the Nationals ‘opposition research’ unit. ie their dirty tricks bureau. Where he of course spent some of his early years. Noticed the photos and background info on labour or greens activists that seems to appear like magic on Pravdablog and the Oily Cetacean. The national sneaky tricks unit probably have their own photographers who attend rallys and pose as press photographers but use the photos for political purposes. All the info was there all you had to do is make a Official Information Act request as some of the standards authors did. I just think the man was curious to know who was bagging the government over the three strikes bill. No hes not ‘curious’ . he would have done it for the National party , as their ‘front’ . Im convinced hes working hand in glove with the partys black ops. You don’t go to the trouble to find out the names of those that have made ‘legitimate’ requests with the OIA just out of curiosity. There is a more sinister purpose here. Also why the hell would the government care about a bunch of Neville Nobodys sitting at home posting on a internet blog. Unless? the people who are posting aren’t a bunch of Neville Nobodys and are actually a collection of quite important people who’s identity, if became known would cause a bit of strife for certain people or organizations. unless there was a hidden agenda! What do they know but don’t want the public to know? What info don’t they want in the public domain? Why don’t they want it there? For entertainment and to remind me how insane some of the right are I read the sewer and whaleoil’s websites occasionally. They are really disturbing. Whale’s recent ganging up on Caleb Tutty is absolutely appalling. The premise of the argument is that somehow Labour activists should not expect to receive an education. His treatment of Choudhary was evidence that he is a misogynistic bully who will lie and cheat and defame for political advantage. I think the use of a pseudonym is perfectly appropriate. It is not to allow posters to defame with immunity, it is for protection. Farrar using the OIA to try and find out who may write for the Standard is as bad as Bennett’s breach of the Privacy Act. Like to hear Jim Mora question Farrar about this during one of those cosy RNZ Panel chats. Does Mora realise he’s hosting a kind of Stasi contractor? I just got demerit points on Kiwiblog for suggesting that Farrar was wrong in using the OIA to try and find out the identities of Standard writers. He seems a bit sensitive about the subject. I really don’t know why he keeps popping up acting like a target, then I’m forced to go to the effort to write a post. I could have used the time to write on something more interesting. I see he also put up a veiled threat regarding your identity. What a little gobshite.